The Metro Shopping Fund LP has unveiled new proposals for a major re-development of the shopping centre at Clapham Junction and, together with Network Rail, significant improvements to the station itself including the construction of two new entrances. It has delighted the SW11tch Back to Battersea campaign by promoting its proposals as being centred on "a new heart for Battersea" - full details can be viewed via the website:www.theheartofbattersea.com. 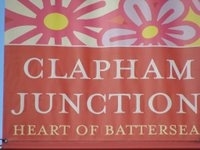 Last year, representatives of the Metro Shopping Fund were caught in the Clapham-trap during presentations to Battersea residents, referring to Clapham Junction as "Clapham" - now they have become firm converts and their presentation of the new proposals has been welcomed as giving Battersea's heart a welcome fillip. 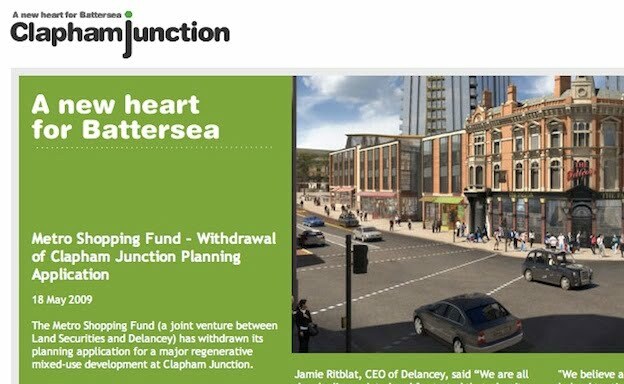 Homes across SW11 have received a consultation document providing a helpful reminder that clearly advertises Clapham Junction as being the heart of Battersea. Since the Metro Shopping Fund has not yet come up with a name for the development, the SW11tch Campaign team have impressed on them the importance of making sure that its Battersea location and identity is central, giving local people and businesses a well needed sense of place with the correct geographic designation. Note: the SW11tch campaign does not have a position or view in relation to the development proposals, which have yet to translate into a planning application, but recognises the historical and commercial importance of such a large-scale proposed re-development on this site and the impact it will have on the sense of identity attached to Battersea's Clapham Junction.